In the age of Yelp, Angie’s List, and a plethora of other consumer information and review sites, simply having a nice website, or being a nice person for that matter, just won’t cut it for your business. For real estate agents in particular, this is where having authentic, credible testimonials to help set you apart comes into play. As a realtor, in many ways your portfolio of real estate testimonials is now just as important as your database of prospects. For better or for worse, testimonials rarely, if ever, occur organically in the real estate space. This is evidenced by the extremely high percentage of ‘5 star ratings’ agents receive on many review sites. 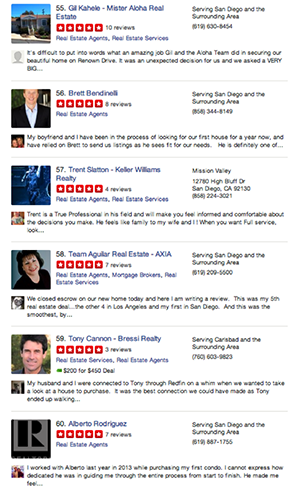 Note the distinct lack of negative reviews or objectivity relative to a restaurant search on Yelp (the snapshot below is from a Yelp realtor search in San Diego, CA…. on page 6!). It’s also worth noting that many top real estate ‘platforms’ such as Trulia and Realtor.com allow only recommendations. 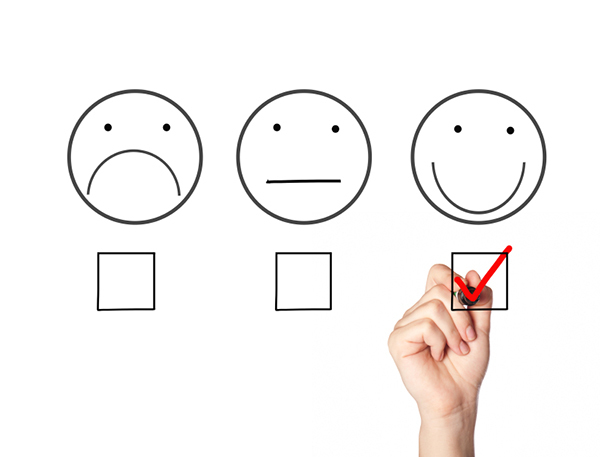 Here, it’s probably helpful to distinguish between asking a client for a positive, public review or recommendation and a full-blown testimonial that you can use on your personal website and in marketing materials (for the purposes of this post, we’ll treat them the same).Regardless of the specific ‘ask’, you need a system to convert your happy clients into valuable testimonials as they close escrow (strike while the iron is hot!). Would you recommend me as a real estate agent to your friends and family? If so, why? In what areas did I excel as your real estate agent? In what areas could I improve for future business? Source more valuable testimonials with our free, customizable testimonial instruction template!